Our Religious Studies tour to Vatican City, the world centre of the Catholic Church, and Rome has been designed to compliment GCSE Religious Study units: It will give students a better understanding of worship, ritual and pilgrimage and of the foundation, development and spread of Catholicism. Students will leave with more appreciation of the extent and power of The Vatican throughout history and of how the church has changed over the centuries. 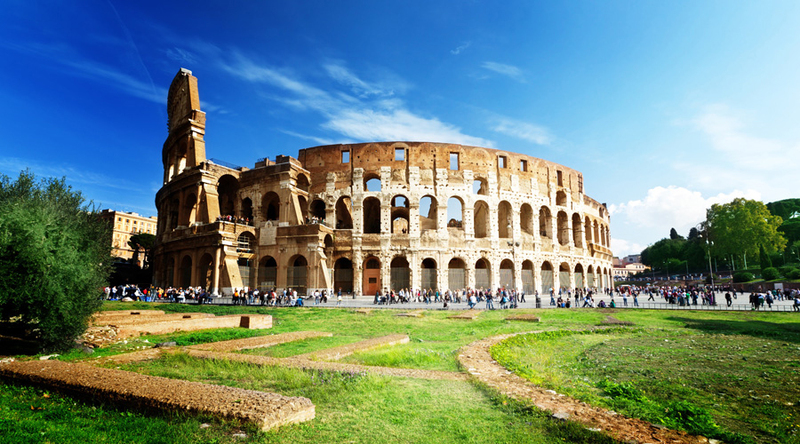 They will also gain an insight into the pagan religious tradition of the Roman Empire through visiting the Colosseum, where so many Christians were killed and the Catacombs where they were secretly buried. The Vatican - a walled enclave, a city within a city and the smallest independent state in the world. St Peters Basilica - the late Renaissance church with the largest interior of any Christian church, regarded as one of the holiest Catholic sites. The Sistine Chapel - with its famous Renaissance ceiling painting by Michelangelo commissioned by Pope Julius II. Jesuit's Gesu Church - located in the Piazza del Gesù, the mother church of the Jesuits. Basilica of St John Lateran - the official ecclesiastical seat of the Bishop of Rome, the Pope. 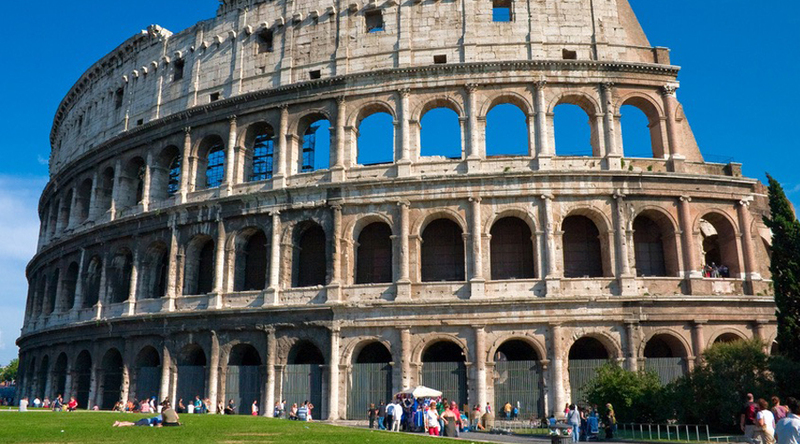 The Colosseum and Forum - famous historical sites of early Christian history. We accommodate our groups in hostels or 3 star hotels in the city centre. Take a morning flight and arrive in Rome in the afternoon. Time to explore the local area. 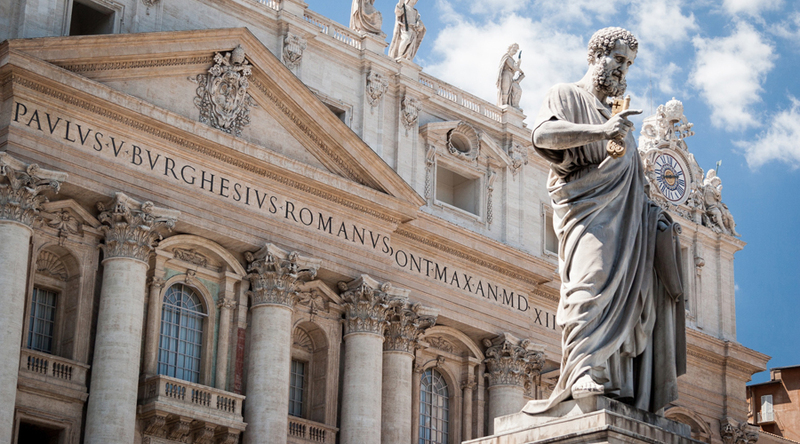 Travel to Vatican City to explore the sites, including St Peter’s Basilica, The Vatican Museum and Library, The Sistine Chapel and The Vatican Gardens. Excursion to the San Callisto Catacombs, which houses 40 ancient underground catacombs and contains the majority of examples of Christian art before 400 AD. Afternoon trip to Tivoli to visit Hadrian’s Villa. A day in Rome. 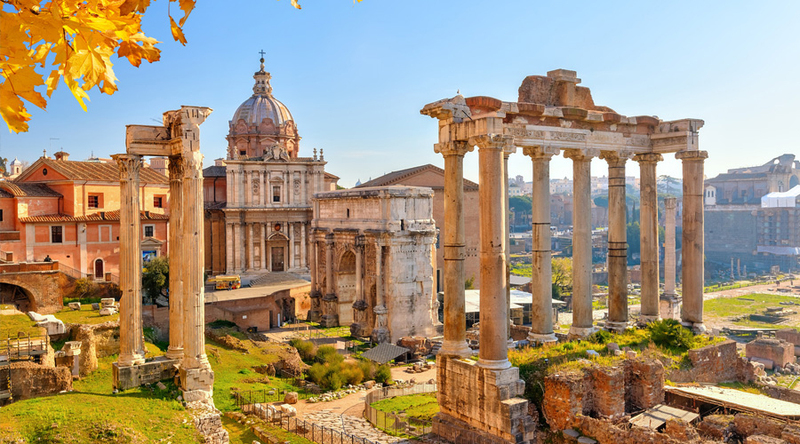 See the Colosseum, the Arch of Constantine, the forum and the ruins of the centre of ancient Rome, the Apostolic Palace and Basilica di Santa Maria Maggiore. Walk down the Via della Conciliazione to Saint Peter’s Square. In the afternoon, visit the Pantheon or the Piazza Venezia at the foot of the Capitoline Hill with its imposing monument to Vittorio Emanuele II. In the evening visit the Trevi fountain. Morning flight back to the UK.